I’ve been very quiet over here on the blog for a while. It’s a good thing on my end. I’ve been very busy with homes and The Saxon Inn. 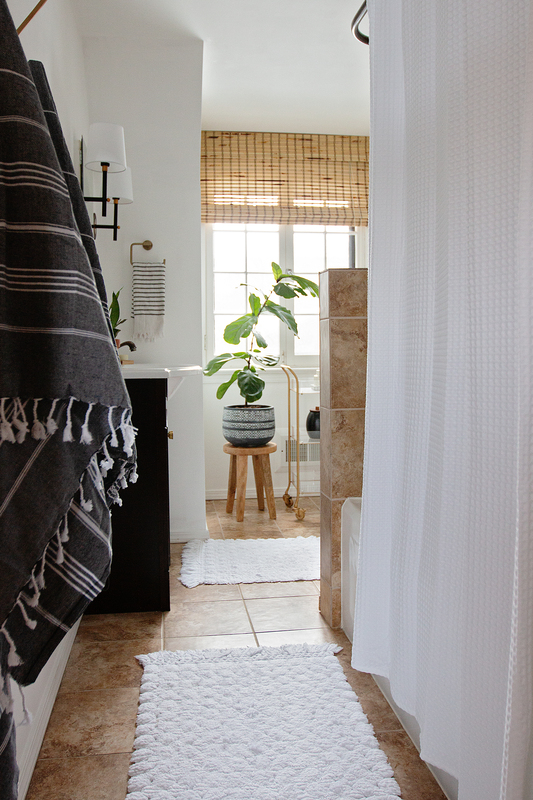 I had decided a couple of months ago that I was going to give our master bath a refresh. 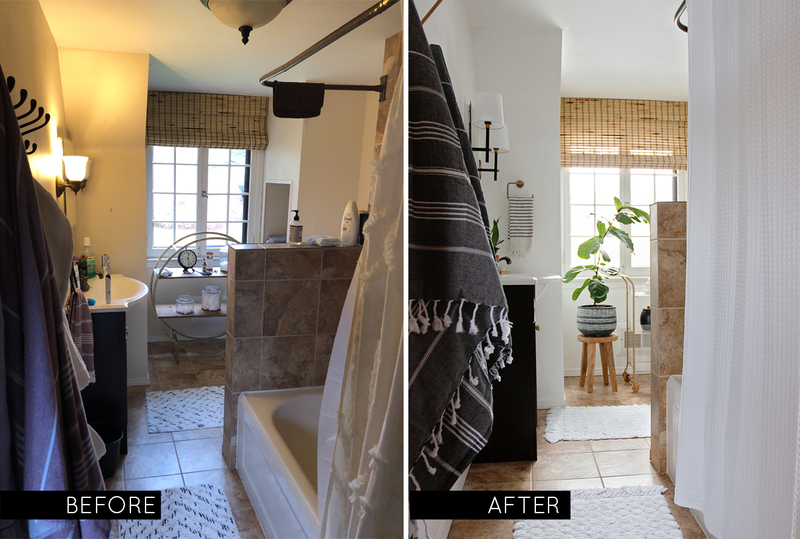 I knew that I didn’t want to gut it, or spend thousands of dollars on a renovation. Around that time, I was contacted by a company called Smile Brilliant, about their new product, the CariPRO electric toothbrush. I didn’t currently own an electric toothbrush, so I was on board when they wanted to send it to me to review. This toothbrush is amazing! First off, I have sensitive teeth. My daughters have an electric toothbrush, but it only has 1 button for on/off. 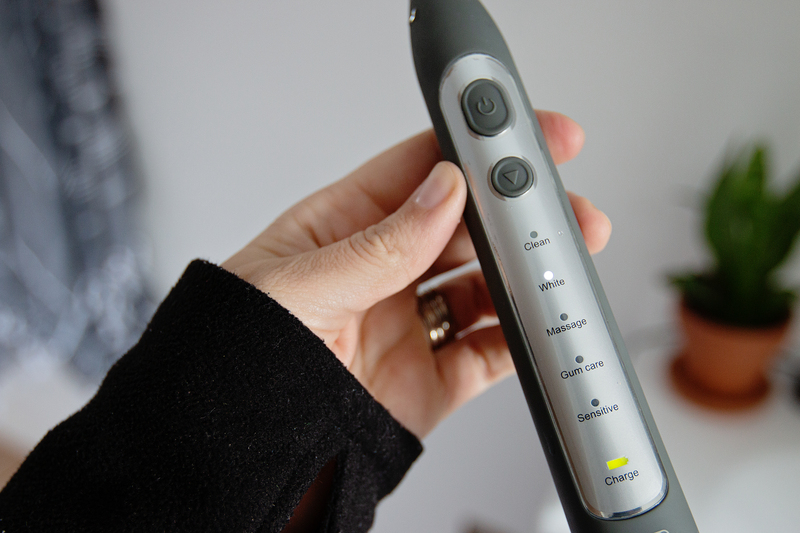 The CariPRO has 5 different modes: clean, white, massage, gum care and sensitive. The first thing I was impressed with, is the gum care. What toothbrush out there actually concentrates on this? In a study done in 2012 by the CDC, one out of every two American adults aged 30 and over has periodontal disease. That is HUGE. More companies should do this. Kudos to Smile Brilliant for this. The second impression was the whitening mode. 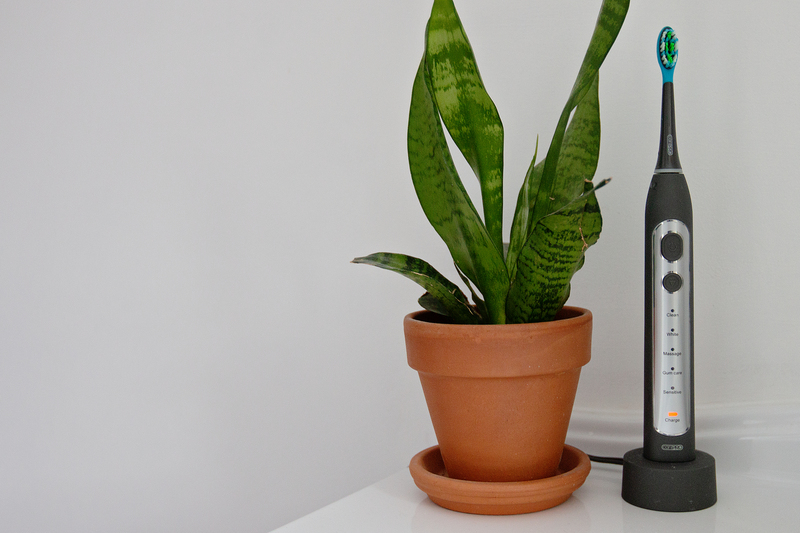 This is designed to help get the hard stains off of your teeth with a pulsating mode. 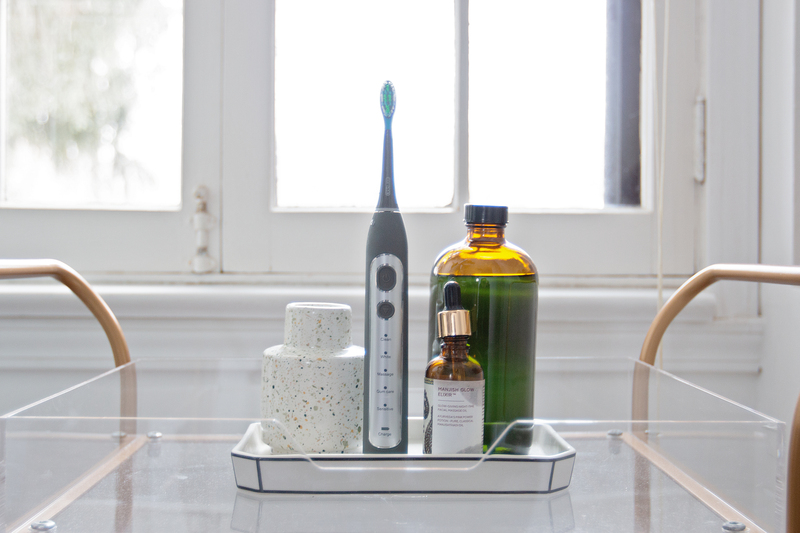 This toothbrush is a one of a kind, with benefits that are second to none. 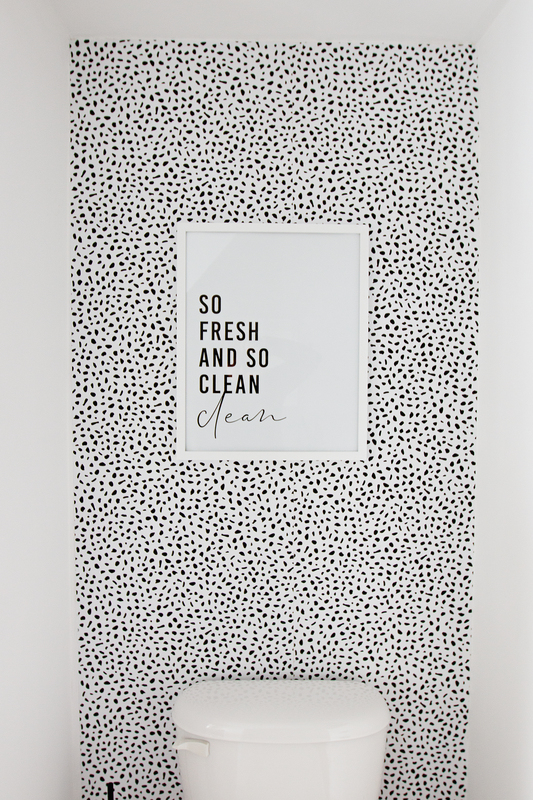 I truly recommend this to anyone looking to up their hygiene game 🙂 You can get 20% off by using code lesshousemorehome20 at checkout! As for the refresh, I had it set in my mind that I wanted to spend under $350. After all was said and done, the total spent was $337.20! 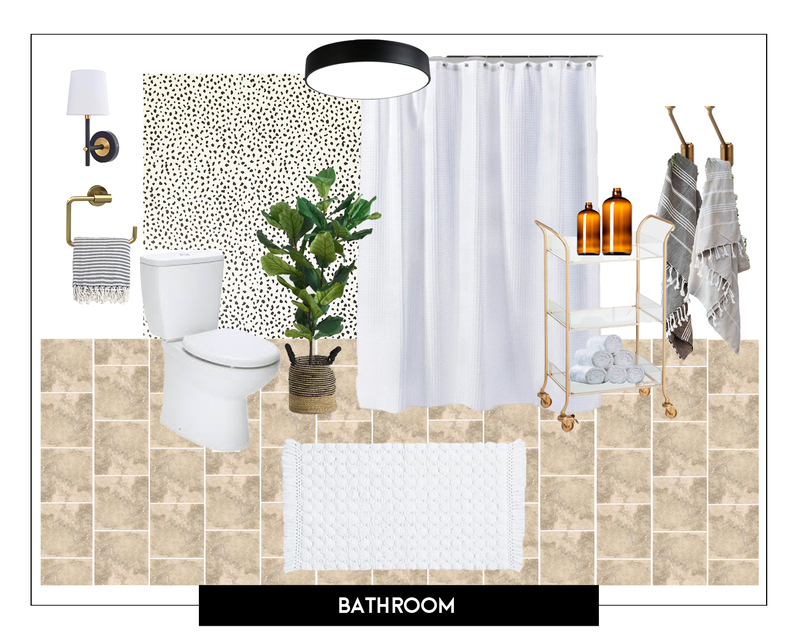 I was originally going to stencil the floor and get a new medicine cabinet — but we do plan on gutting this bathroom down the road, so I let those ideas go. 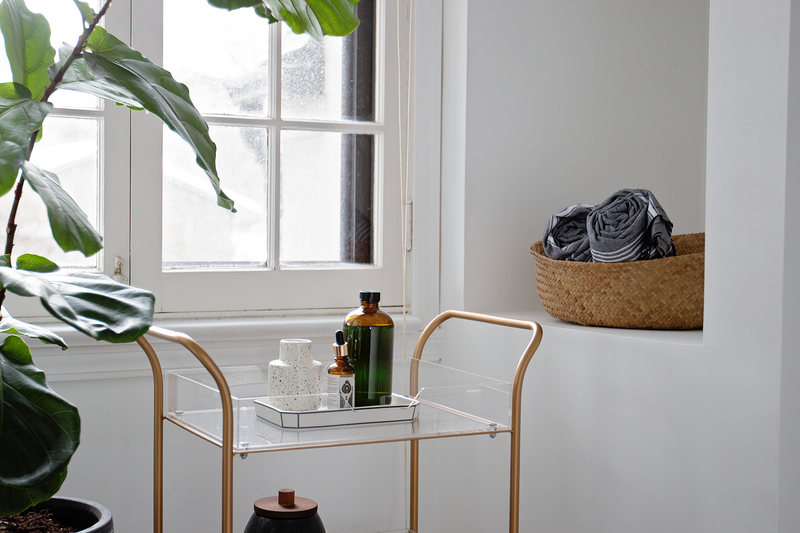 I had my eyes on this rolling cart, and when it went on sale — I snatched it up. 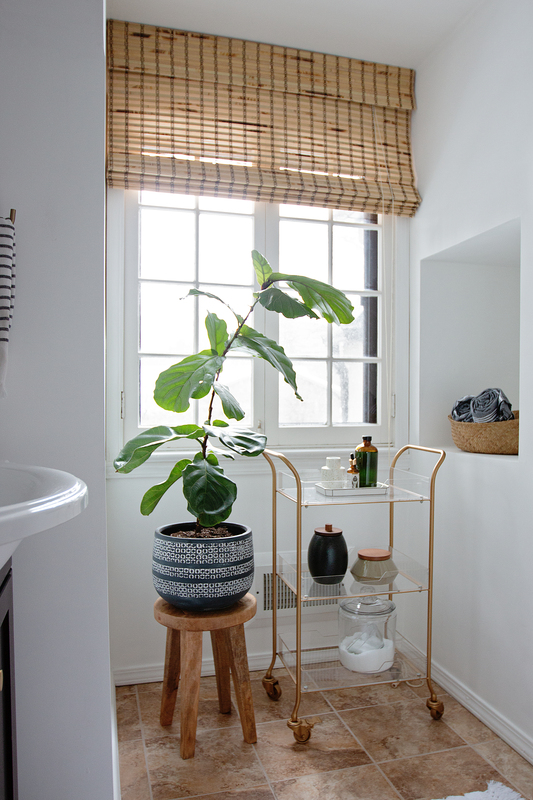 What a cute little way to put everything in one place. These amber bottles worked great for items that I don’t love sitting on my sink. I used one for mouthwash. 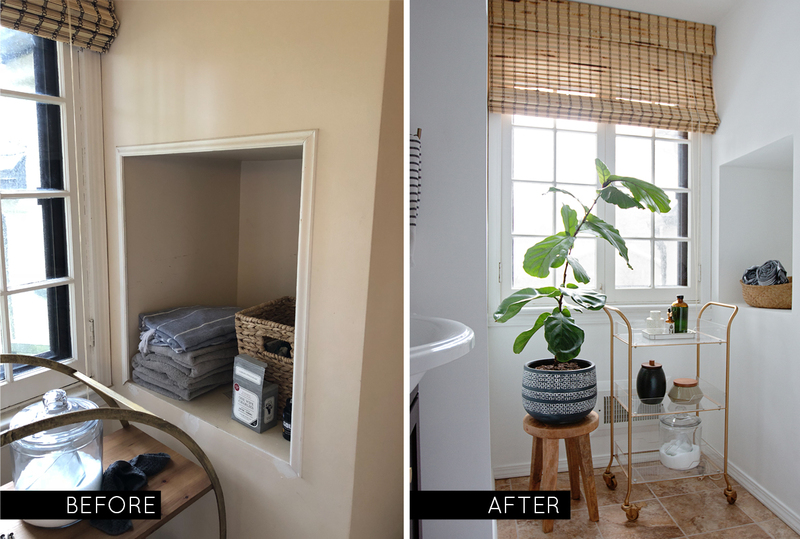 I knew that I wanted to paint the room white to make it brighter, and I also knew that I wanted to do wallpaper on the wall behind the toilet. It’s a perfect addition, because when I look in the mirror — it’s what I see! 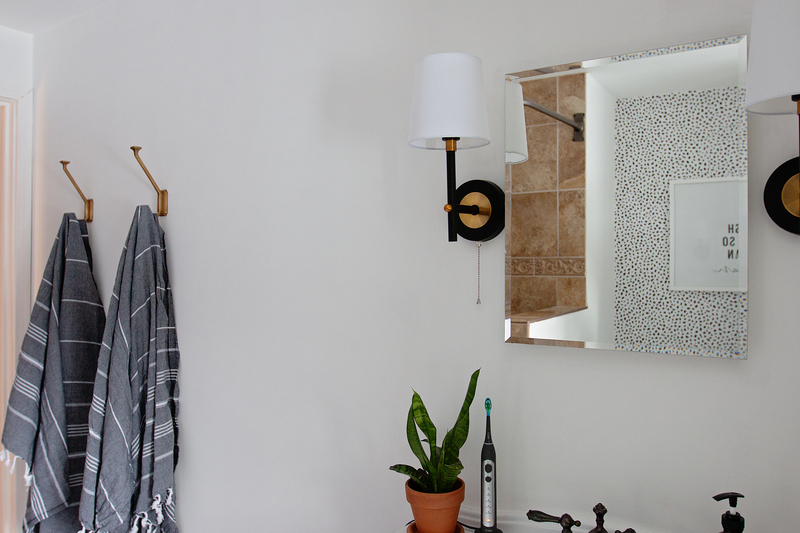 I added in brass/gold fixtures and I love it all. I couldn’t be happier with the way this turned out.